This is an update on an “Extreme School” in Los Angeles County, California. Not long ago, this high K-5 poverty school had neighborhood drug dealers coming ON CAMPUS. The outside aesthetics of the school were deplorable, with deteriorating buildings. The district rates schools (academically) on a scale from 1-10 (with 10 as highest). This school was a “1” out of ten (the lowest possible ranking. Stop Looking to the Government for Help. It’s been 50 years since the start of the “War on Poverty” and enactment of 1965 ESEA legislative funding (Title 1- VII programs). Today, the U.S. Senate Budget Committee says we have 83 overlapping government welfare programs that together represent $1.03 trillion in fiscal spending by federal and state agencies (this year alone), based on data from the Congressional Research Service (CRS). We now have 22% of all school age kids (12 million) from poverty in K-12 schools. The government’s approach, over 50 years, isn’t working. CNN’s Education Overtime is a series focused on the conversations surrounding education issues that affect students, teachers, parents and the community. They dropped into our Poverty Workshop in North Carolina to ask about the classroom effects of poor nutrition. If you’d like to learn more about overcoming the challenges of poverty in the classroom, download our free guide: Secrets of High-Achieving Schools with High-Poverty Students here. Before you begin, grab something to record your answers with. Go ahead and get out paper… Are you ready? 1. How much of student achievement in kids from poverty is correlated with their parent’s IQ scores? 2. Classroom behavior problems from with kids from poverty are based in the very same issues as with the non-poor (need for structure, clear rules, and consistent enforcement). 3. What is the biggest academic predictor (at age 5) for how kids will do at age 11? 4. Many poor kids who show you an “attitude” when you are disciplining them typically need an authority figure to show them the rules and consequences. 5. Which 3 are the most common disorders among the poor? You’re getting this quiz for a reason. In the United States, about 22% of all schoolage kids come from families of poverty. These kids form the largest identified subgroup in America with unmet academic and behavioral needs. While every school in America has SOME kids that are more poor the rest of the students, many of you are seeing those numbers continuing to rise. The trend is “up” everywhere. 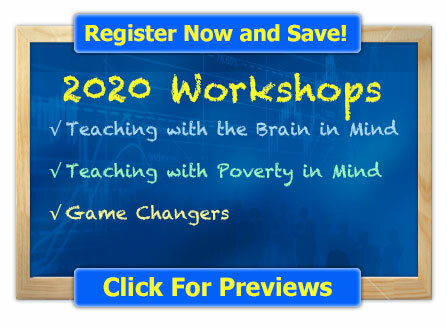 Eric Jensen, author of Teaching With Poverty in Mind will present his session on poverty at ASCD’s Annual Conference & Exhibit Show in San Francisco, on Saturday, March 26, 2011, at 1:00-3:00 pm. The ASCD posted a great 6-part series where Eric Jensen gives an overview on the challenges of teaching children in poverty, and how schools can help children overcome the challenges that poverty presents. 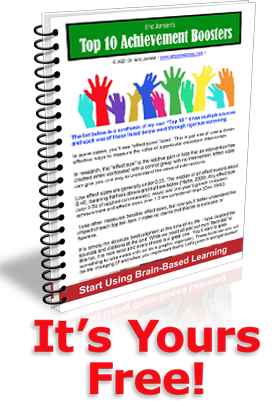 To view the series on what being poor does to kids’ brains – and how we can help them to succeed.